2012: iPhone 5 — The new iPhone 5 is displayed during an Apple special event at the Yerba Buena Center for the Arts on September 12, 2012 in San Francisco, California. If you buy music, movies, or apps from Apple, you've probably seen receipts for iTunes purchases in your inbox. But what if you didn't make any purchase? 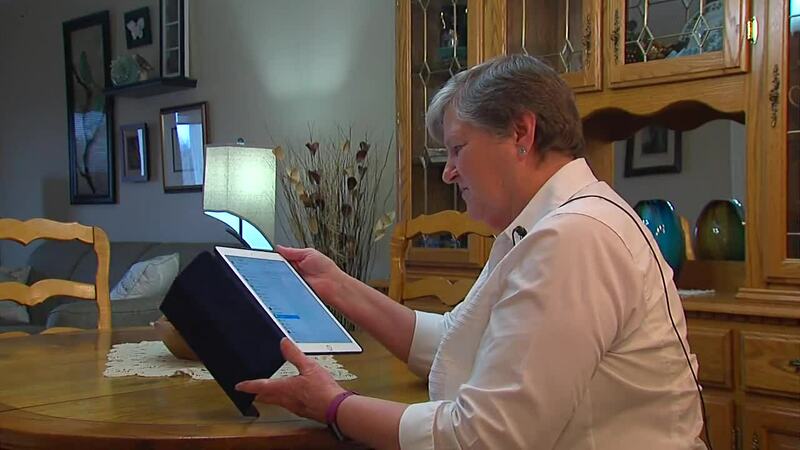 That's what happened to a Lawrenceburg, Indiana woman, who learned how easy it is to be scammed, and now wants to warn others. Patricia Wells checked her email the other day, and noticed something strange. "I looked at my email and saw I had purchased a basketball game app," she said. She had received a receipt from the iTunes store for $40 for a kid's video game. But Wells is a few years past being a kid, does not have any young children at home and does not play basketball. "It said I purchased this app called Basketball Stars," she said. "I thought, 'I did not buy this, what's going on here?'" It's only human nature if you receive a bill for something you know you didn't order, the first thing you are going to do is cancel or demand a refund. That's what Wells did. "It said to 'click here to see the invoice,'" she said. So she did. Bad idea, she soon learned. "I clicked on the link, and it then asked for my name and address, and them came the box that asked for my Social Security Number." That got her suspicions up. Why would Apple need her Social? Luckily, Wells stopped, before giving a cyber criminal all the information they needed for identity theft. Unfortunately, it appears they already had some of her personal info, which has her nervous. So she now wants to warn everyone else. "All over were little clues that I didn't pick up right away, so I can see somebody could easily be fooled." For instance, iTunes was misspelled as I-Tunes, with a capital "I." In addition, the email was sent to multiple recipients, meaning it was probably a blast to thousands of unsuspecting victims. Online forums suggest at least hundreds of people have fallen for this in recent months, if not many more. If you suspect an email may not be legitimate, Inspect the return address carefully. If the return address is not from that company, delete it. If you are not sure, then contact the company, through their website. Don't open the email or click any links in it. Wells says she will now be very suspicious of any unexpected invoices.